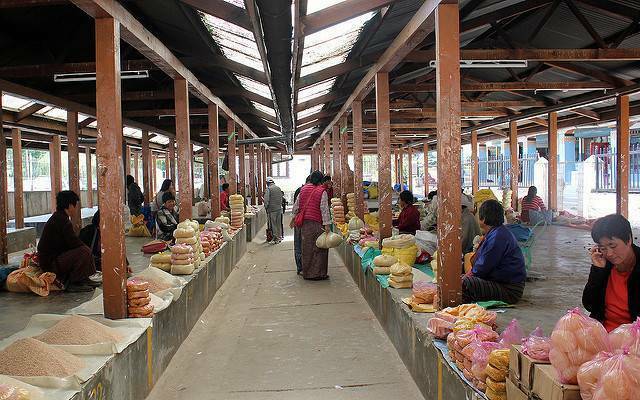 Located on the banks of the Wangchu River, the Centenary Farmers’ Market or the ‘Vegetable Market,’ is one of the largest domestic markets in the country where farmer from all parts of Bhutan come to sell their produce. A vibrant explosion of colours and aroma, the Market presents a variety of assortments of fresh and organic products including, fruits, spices and vegetables. It is a popular destination for tourists and locals alike to experience the very essence of Bhutan and its denizens. Stalls selling textiles, clothes and other handicrafts are separated by an old footbridge. The farmers’ market is a clean and relatively safe place. It is a recommended visit.